A modern home that is warm and welcoming, we hope to see you soon. We offer 3 bedrooms, 2 doubles and 1 twin. All en suite. A traditional fishing village on the shores of Loch Broom. 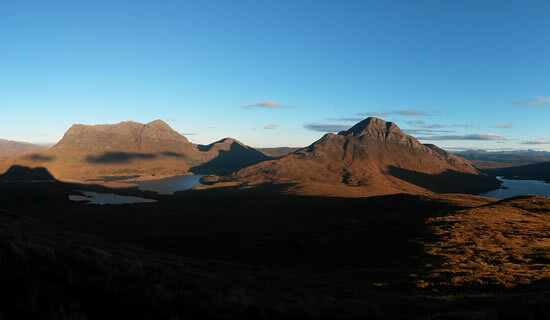 The Highlands of Scotland are one of the best unspoilt locations. 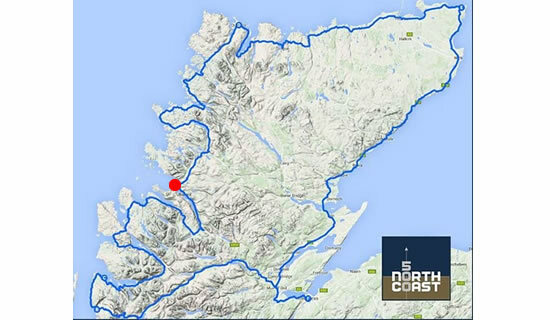 We are well placed for those touring on the North Coast 500. The Stornoway ferry runs from Ullapool, Dacama is a great stop over. 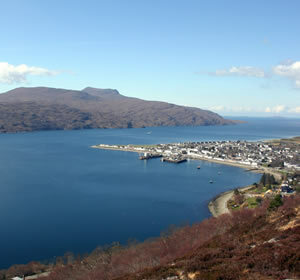 Dacama is in Ullapool, a fishing port on the coast of the north west Highlands. Set in one of the most beautiful and unspoilt areas in Europe, we offer a great stop over or base for touring or visiting the Highlands of Scotland. Dacama is our family home and we welcome visitors coming to stay with us and hope to make them welcome and comfortable for however long they stay. 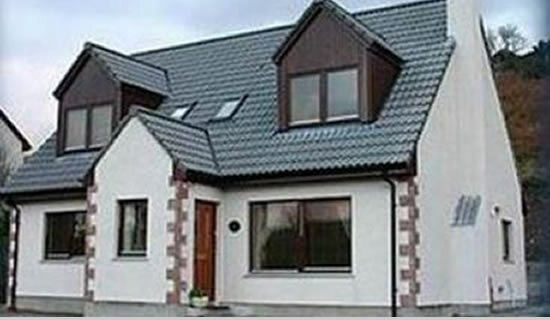 We have a choice of three bedrooms, two doubles and one twin, all ensuite and spacious. We have 3 rooms in our home 2 doubles and 1 twin. Our home is a quiet comfortable modern house with off street parking. Each of our rooms has Tea/Coffee making facilities, En Suite shower room, towels and Freesat TV. Each room also has its own private fridge which contains your own continental breakfast and a toaster. Breakfast options includes, cereals, yoghurt, fruit juice, fresh fruit, oatcakes and cheese. WiFi internet access. Large, spacious, clean and warm double rooms with en suite shower room and fridge for continental breakfast. 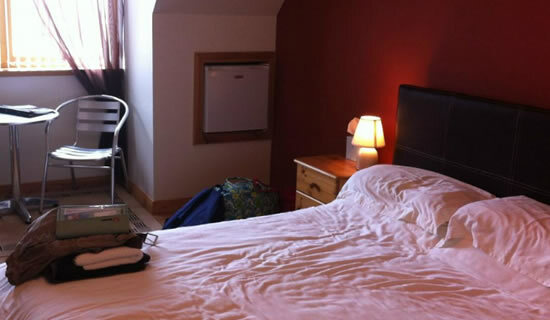 Comfortable twin room, en suite shower room, with a stocked fridge for continental breakfast. A stocked fridge allows guests to have a continental breakfast as they like, when they like. This includes, cereals, yoghurt, fruit juice, fresh fruit, oatcakes and cheese. Fresh milk and bread for toasting. Prices pounds Sterling, per room per night. Payments accepted by cash only. 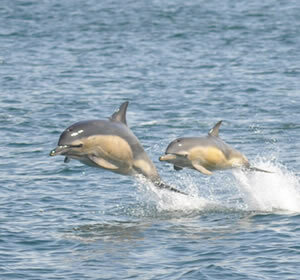 A fishing vilage with ties to the Hebrides and local crofting communities, Ullapool retains much of its charm and history and a range of festivals and activities. Gateway to the NW GeoPark, Coigach and Assynt, ferry port ot the Hebrides and boat tours to the Summer Isles, we are surrounded by mountains, beaches and wildlife. 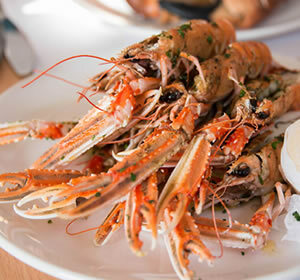 Famous for our seafood, much of which is landed at the harbour, we have a range of restaurants, bars and takeaway establishments offering a range of food and drink. 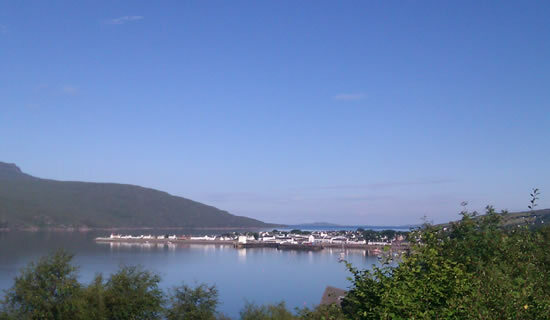 Ullapool is host to a number of festivals including Loopallu music festival, Ullapool Book Festival, Ullapool Guitar Festival, Ullapool Beer Festival, Skiff Regattas and Dance Festival. All attract big names but in a friendly small environment that make them great and very popular. 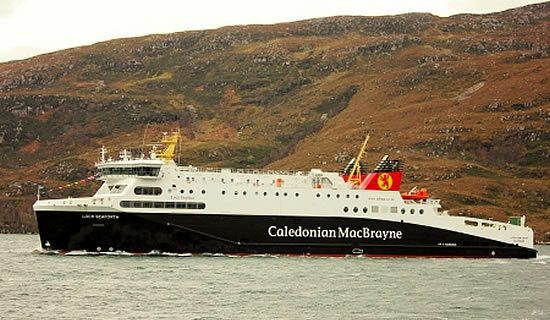 The CalMac ferry runs between Ullapool and Stornoway on the Hebrides - in the summer 3 sailings a day make it possible to visit for a day. The Shearwater visits the Summer Isles from Ullapool Harbour seeing sea eagles, dolphin, whales, seals and porpoise, and Sea-scape is a RIB that runs to the bay and islands seeing wildlife and the spectacular views. You can go out to walk, climb, cycle, swim, snorkel and a multitude of other activities yourself as we are surrounded by great coast and hills. There are also some guides to help: Tim Hamlet Mountaineering, North West Sea Kayaking, NW Snorkel Trail (self led), Assynt Fly Fishing are just a few..
Just driving around the area will find some amazing sights but here are a few we suggest as they are favourites of ours too: Corrieshalloch Gorge and Waterfall, NW GeoPark, Inverewe Gardens, Knockan Crag, Ardvreck Castle, Achmelvich Beach.- all within an easy drive and on the North Coast 500. We have a number of galleries in and around the village as well as arts and craft shops and courses. An Talla Solais is a community gallery, RhueArt is home to James Hawkins but also exhibits visiting artists, Jan Kilpatrick offers course in Elphin and Ullapool and Bridgehouse Art is residential in Ullapool. We do not offer evening meals ourselves but there are some great places locally and also some good places nearby if you fancy a drive and lunch in the day. The Arch Inn, The Seaforth, The Royal, Morefield and Argle all offer evening meals. Salt in Achiltibuie is great for seafood and Kylesku Hotel is worth a drive and Deli-ca-sea Ullapool's best traditional takeaway fish and chips. Whether touring after us or looking for a day trip, there are some great villages north and south of Ullapool inlcuding Achiltibuie and Coigach, Lochinver, Drumbeg, Kinlochbervie and Durness to the north, and Dundonnell, Poolewe, Gairloch, Aultbea and Kyle of Lochalsh to the south. If travelling the North Coast 500, please take your time and appreciate the Highlands. Some useful contacts locally: Lochbroom Car Hire, Traffic Scotland , Ullapool Medical Centre, Weather Forecasts..